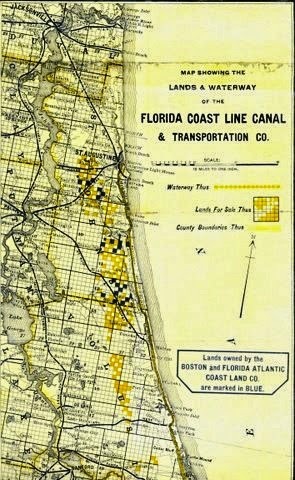 1892 map of northeastern Florida, showing the lands reserved to the Florida canal company and to the Boston & Florida land company in yellow and black(blue) squares. Courtesy, Trent University, Peterborough, Ontario, Canada. Professional services rendered to professionals only.